Can a student-visa holder work in the US? There has been a conversation going on around my circle of friends about this issue of foreign nationals on F-1 student visas: Can foreign students be allowed to work in the United States? Foreign nationals on F-1 student visas may apply for permission to work. That is right. However, there are only types of employment that are legally available to F-1 students in the United States. According to immigration-usa.com, F-1 students, may accept practical training employment or off-campus part-time employment after having been in status for nine months. F-1 students must apply for INS approval for off-campus employment and practical training after graduation. Note that F-1 students may accept on-campus or curricular practical training when authorized by the designated school official. And these rules are strict because F-1 visas are not initially approved without proof that the potential student can provide for themselves and their education without needing to work while in this country. Please note that the law bars any F-1 student from any type of off-campus employment during their first 9 months as a foreign student in the United States. F-1 students must use recommendations by the designated school official on Form I-201D, along with Form I-765, "Application for Employment Authorization," to apply for employment authorization from the INS. The instructions on the Form I-765 should answer any of your questions about the student employment, and filing fees required, and where to file the application. Please remember that it is important that you are barred from accepting any off-campus or practical training employment unless and until you receive authorization by the designated school official on your I-201D or a Form I-688B from INS. If you are found working without permission, you are subject to deportation. It is not just a plain story of one being out of town. Or not seen for a week. Maricel is in the Philippines. Peter is in a place hundreds of miles away. They haven't seen each other for over a year now. I have always questioned the efficiency and value of a long-distance relationship. Even before I experienced it myself way back, I knew the sorts of things that could almost certainly play inside your mind, it would never work. Think of the pain that it might create in you and your partner in a variety of ways. Communication is the essential ingredient in the love concoction and being a great distance apart could injure the bond. 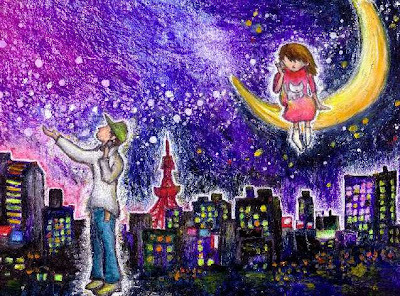 However, there are few stories that defy the belief that long-distance love won't work. The partners hang to the thought that love drives in a mystifying route and whenever confronted with situations like lonesomeness or flashing doubts or impatience, all there is to do is to trust. If there is truth to the principle that absence makes the heart grow fonder, then it could greatly help make long-distance relationship last. How to survive lonely days? I compiled a non-expert to-do list. 1. Keep busy! Read online news or start a daily blog. 2. When was the last time you sent a letter through the post office? I recommend you write letters via snail mail. The anticipation of when it will reach its destination and land safely in the hand of the recipient is sufficient to make you alive. 3. Share woes through e-mails and phone calls. Recognize that you are hurt as much as he/she is. 4. Get yourself a dose of humor especially when calling him/her. Laugh together. At the sound of your partner's voice, do not break down like you will never see each other anymore. 5. It might be a little too much, but smell the scent of his/her cologne or touch anything he/she has left behind. 6. Try to make contact with his/her friends and ask them to do little favors for you like leave a sweet and simple note on his/her bed saying, "I Love You." However, do not do this often-to avoid possible suspicion. Your lover might infer you are up to his/her friend. 7. If you can afford it, give a surprise visit. It is costly but the other person will appreciate the effort. 8. When given a one-day-a-year chance to meet up, make that day extremely magical. 9. Write a song, sing in the shower. Write a love poem, memorize it. 10. It is not easy, but be tough. Always keep friends and family around you. 11. If you are employed, focus on your job. If you are unemployed, find a job. Do not put your life on hold just because your partner is not around. 12. Do not let depression get into you. Stay active. Go to the gym. Jog with your friends! 13. Chat with a web cam. 14. Call your dog or cat or whatever pet you have by his/her name. This is to make sure you will never forget your partner's name after 10 years of being apart. 15. Find a resting hole, e.g. mountaintop, park, beach, isolated coffee shop where you can be at peace with yourself. 16. Build a Web site for both of you! If, by any twist of bad luck, you will not end up together, there is always a delete button. 17. Remind each other how much you love one another. 18. If you live near a beach, send a message in a bottle. Fate can sometimes work on your side. No, lakes won't work. 20. Finally, end every conversation with hopes and desires for what you have at present and what the future may joyfully bring! As they say, love conquers all. Hence, be positive about the relationship. Being far away from each other could be a very stressful business, but what you might endure today would make the future so much more priceless for both of you. God bless you both. There are Christmas songs that really touch my heart. One reason that I can think of why they have a special place in my heart is this: These songs have been there since I was a toddler and each Christmas it was played at home or sang by Mom. So I basically grew up with these songs. SnagIt lets you capture, edit, and share exactly what you see on your screen - fast. Capture anything on your screen from an area to a scrolling web page. Edit your screen capture using the built-in image editor. Share, save, and print your screen capture in the format of your choice. Do all these with SnagIt! 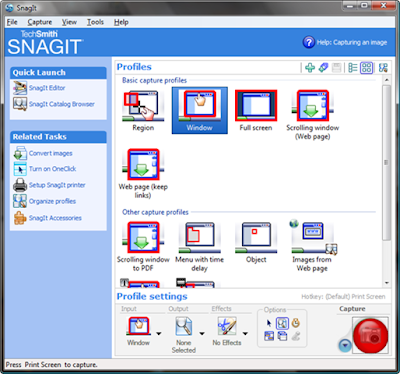 Second, visit the TechSmith website and request for a SnagIt 7 Software key. It won't take time for the key to arrive in your Inbox. Once you key in the registration details, your trial copy of SnagIt will convert into a full retail version. Black Friday is synonymous to a big nationwide sale and shopping! Black Friday is celebrated a day after Thanksgiving in the United States. I didn't hear about this event last year, only yesterday, from Filipino friends. It was amazing to hear stories from them of how people pack the stores for this big sale day. They go to the stores hours before the opening, even sleeping along alleys and sidewalks, in the middle of a cold winter night, just to be among the firsts to get inside and grab the best items on display. Yes, buyers are that eager to shop! It is because the items are discounted hugely. Getting an item 70% less of the original price is significantly helpful for a tight-budget family, or even for those fashion-oriented individuals who look for the latest fad on sale. There is computer shop that sells Toshiba laptops for the first 10 customers for only $300 (roughly P15,000). Who doesn't want to get one? I heard the laptop specs were awesome! Today, I left the house at 6AM and head for Sioux Falls, to the Empire Mall. I went with two of my Filipino friends, Cel and Ping. We were in time for the hassle and bustle of the shopping jungle when we got there with our enthusiastic shopping moods. We shopped till we dropped, so to speak. I bought two new shoes (adding to my shoe collection). I also bought long sleeves and a scarf for winter protection. The sale wasn't whole day so we had to move fast to get the things we want. We, literally, rubbed elbows with the same enthusiastic American shoppers. We went home with big smiles. It was one hell of a shopping experience, not to mention the over-the-budget expenses. Well, it happens only once a year - so I better enjoy it. And, oh, I did. I was browsing for some widgets that I could add to this blog and, voila, landed on a site about video blogging. As far as I know, there are only few Filipinos who video blog. Why so? One, it takes time to come up with a video. Two, you need some expertise or, more appropriately, the video needs your artistry. The video has to capture your readers or visitors and should make them visit your blog regularly. Three, the video must be one-of-a-kind. Meaning, it shines above the rest in terms of originality of concept. Four, a video generates less traffic to your blog because you tend to avoid texts. Keywords are gone, unless of course texts accompany the videos. Five, why bother? YouTube codes are easier to embed. Search for new music videos, copy the codes and you have videos posted on your blogs! However, video blogging is waiting to be tapped by Filipinos. Why not try it? It might be the right niche for you in this competitive world of blogging. Wanna start now? Visit this: How to videoblog with Blogger. Enjoy. My friend just sent me the photos taken last SDSU international night. I am still waiting for the other batch from another friend. As of now, enjoy this set. Yesterday was my first international night. Though there are just few of us Filipinos in Brookings, South Dakota, we still decided to join the event. Kristy, Maria, Cel and I prepared a Filipino dish. We served our very own version of the Filipino Chopsuey. It would have been an eggroll menu, but its preparation would take hours. With about 300 people to serve, there was no time to waste for a complicated dish. The Filipino Chopsuey came in three varieties - the pure Filipino vegetarian Chopsuey, Chopsuey with shrimp (for the seafood lovers), and the Chopsuey with chicken (for the seafood allergic). The chopsuey with shrimp was the most-loved dish. We came in with our Filipino costumes. Of course, we were proud of our culture and history and for being Filipinos in the United States. 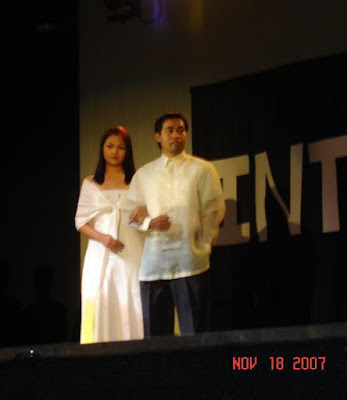 Maricel and I represented the Philippines in the fashion show, where different culture representatives sashayed with their respective national costumes. It was fun. We are thinking of doing it again next year. I will post more photos once I get them from friends. Ugh, I forgot to bring my camera! I asked my friend after watching Toska last night in Sioux Falls, "Why do most beautiful love stories end in tragedy?" The answer I got was, "Because that is what makes them good." It was my first time to watch an opera concert in my entire life. I am no neophyte with regards to musical plays or concerts from big R&B artists, but with opera, I am a fresh fish in a bowl. When my friend invited me for a night of intense tale about the struggle of ideas and lust, the new and the old, a true love and a true hatred compressed in time span from the noon of 17 June 1800 to the dawn of 18 June, I know it would be a great night for me. Indeed it was. I liked the roles of Floria Tosca and Mario Cavaradossi, who played lovers here. Their voices were superb -- magnifico! It made me think if I had to quick my R&B style and go for opera. The night was filled of emotions from the actors on stage. From now on, I will be loving operatic concerts and who knows, someday soon, I will be one of them. LOL. Here is Giacomo Puccini "Toska" (Opera in three acts) synopsis. By the way, did I mention that the main characters in this story all died? Cesare Angelotti, an escaped political prisoner, runs into the church of Sant’Andrea della Valle to hide in the Attavanti family chapel. At the sound of the Angelus, the Sacristan enters to pray. He is interrupted by Mario Cavaradossi, who has come to work on his portrait of Mary Magdalene - inspired by the Marchesa Attavanti, Angelotti’s sister. Mario contrasts the beauty of the blond Marchesa with that of the woman he loves, the raven-haired singer Floria Tosca ("Recondita armonia"). Angelotti ventures out and is recognized by Mario, who gives him food and hurries him back into the chapel as Tosca is heard calling outside. She jealously questions Mario, then prays and reminds him of their rendezvous that evening ("Non la sospiri la nostra casetta"). Recognizing the Marchesa’s likeness in the painting, she explodes with renewed suspicions, but he reassures her ("Qual’occhio al mondo"). When she has left, Mario summons Angelotti as a cannon signals that the police have discovered the escape; the two flee to Mario’s villa. Napoleon’s army is supposed to have suffered defeat, and the Sacristan returns with choirboys who are about to sing a Te Deum. Their excitement is silenced by the entrance of Baron Scarpia, chief of the secret police, in search of Angelotti. When Tosca comes back looking for Mario, she encounters Scarpia, who shows her the Attavanti crest on a fan he has just found. Thinking Mario faithless, Tosca tearfully vows vengeance and leaves as the church resounds with the Te Deum. Scarpia has the diva trailed, scheming to get her in his power ("Va, Tosca!"). In the Farnese Palace, Scarpia anticipates the pleasure of bending Tosca to his will ("Ha piu forte sapore"). The spy Spoletta arrives, not having found Angelotti; to placate the baron, he brings in Mario, who is interrogated while Tosca is heard singing at a royal gala downstairs. She enters as her lover is being taken to an adjoining room for torture. Unnerved by Scarpia’s questioning and Mario’s screams, she reveals Angelotti’s hiding place. Mario is carried in; realizing what has happened, he rages at Tosca, but the gendarme Sciarrone rushes in to announce that Napoleon has won the Battle of Marengo, a defeat for Scarpia’s side. Mario shouts his defiance ("Vittoria!"). Tosca yields to Scarpia in exchange for her lover’s life. Fighting him off, she protest her fate to God, having dedicated her life to art and love ("Vissi d’arte"). Spoletta interrupts: faced with capture, Angelotti has killed himself. Tosca, forced to decide, agrees to Scarpia’s proposition. The baron pretends to order a mock execution for the prisoner, after which he is to be free. Spoletta leaves. Scarpia prepares a document of safe-conduct for the lovers. When he embraces her, Tosca stabs him with a knife, wrenches the document from his fingers and, placing candles at his head and a crucifix on his chest slips quietly out. The voice of a shepherd is heard as church bells toll the dawn. Mario is led to the roof of Castel Sant’Angelo prison to await execution; he bribes the jailer to convey a farewell note to Tosca. Writing it, overcome with memories of love, he gives way to despair ("E lucevan le stele"). Suddenly Tosca runs in, filled with the story of her recent adventure. Mario caresses the hands that committed the murder for his sake ("O dolci mani"), and the two hail the future. As the firing squad appears, the diva coaches Mario on how to fake his death convincingly; the soldiers fire and depart. 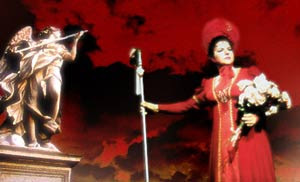 Tosca urges Mario to hurry, but when he fails to move, she discovers that Scarpia’s treachery has transcended the grave: the bullets were real. Spoletta rushes in to arrest Tosca. She climbs the battlements and, crying that she will meet Scarpia before God, leaps to her death. Favicon? Ah, the little icon or image or logo that shows in the address bar of most browsers or next to bookmarks. Just like mine below. Favicons are 16 pixels square. How to make a favicon? It is very easy. To make your own favicon, you have to make first a graphic or use your own photo and adjust it to 16x16 pixels in no more than 16 colors. You can use Photoshop to do it. Then save it as a bmp. Next, you need a graphics program that will change the ".bmp" into an icon or an image with ".ico" extension. You can use Irfanview. Download it for free. Name it favicon.ico then upload it to your server. Don't forget to change http://www.yoursite.com to your own site address. Enjoy making your personalized favicon! I write about national issues and also about touching lives. This is about two of my Filipino friends, Sharon and Mimi. The oil-rich Saudi Arabia became Sharon's home right after her college graduation. As an entertainer in a foreign land, money fills her purse with no trouble at all when she belts out her songs like no other could. Today, she is as rich as the country she is working in. Mimi's talent has brought her to a far away place. I knew it the first time I saw her twist her waist gracefully in a local dance competition. Precisely so, she boogied herself to Japan. For money and family, she dances with pride. Sharon and Mimi dislike the Philippines for not having much to offer in regards to good jobs and compensation because of the apparently unending problems in the government. Abroad, surviving life may be hard for both; nevertheless, the price of aloneness is a long-lasting abundance. So why would I continue loving and enduring a country where friends think poverty, corruption and politicking have become a way of life? Why would I remain loyal to the flag when corruption clings like a malignant tumor obstructing political stability and hindering foreign investments? Why, when my family has been pushing me to stick to Uncle Sam? They wondered on my forever-national allegiance. Mimi wasn't wrong when she decided to take a chance and danced her way for the Japanese audience. Neither was Sharon sinful when she preferred the applause of the Arabs. Theirs were decisions forced by existing circumstances. I admit I do now resemble dream-wise like Sharon and Mimi, though not completely. 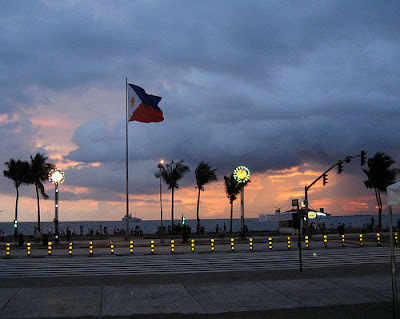 Even if I am physically absent in the Philippines, I still think about the welfare of my homeland. While everyone is rushing to leave the country for greener pastures abroad and forgetting their roots altogether, I keep my contacts. I keep on writing for all the hopeless Filipinos, just like back home. I write to somehow touch the hearts of government leaders so they'd run our institutions with competence and proficiency, minus the greed in power and wealth. I write to somehow encourage public servants to dislodge the wrong values and instead develop honesty and integrity in public office. I write so proper statutes on the evil creature of corruption be situated. I write this for the millions of my countrymen whose hopes are shattered and who have been waiting for the advent of a happier life. This life of mostly discontentment, I write for a country fastened to a poisonous weed of bribery and theft, a country deserted by my friends Sharon and Mimi upon seeing their hopes lost in the society's twisting wind of uncertainties. I write because mine is a voice so little for the over 80 million Filipinos, yet can become loud through every article of: Hope, to see Filipino dreams finally found; Encouragement, to use our art and culture for touching lives; Anticipation, to change our attitude and love the country more and more; Realizations, to make use of our skills and talents in molding our future; and Desire, to someday see Sharon singing and Mimi dancing on Philippine soil while the Filipino audience, including me, claps in awe. Visit the link to my articles. Here are tips to preserving your brain's well-being. Protect your brain for maximum potentials. What damages it? Few reasons are cited below. There you go. Beware of anything that destroys your brain! Eligibility for SAMHSA’s Campus Suicide Prevention Grant program is limited to institutions of higher education. Applicants from both public and private institutions may apply, including State universities, private four-year colleges and universities (including those with religious affiliations), Minority Serving Institutions (see Appendix F-Glossary), and community colleges. Such institutions may carry out the activities of this grant through college counseling centers, college and university psychological services centers, mental health centers, psychological training clinics, or institutions of higher education-supported, evidence-based mental health and substance abuse programs. The activities of this grant may be carried out with the engagement of student-run services such as student organizations and/or student government councils. If a consortium is formed to carry out the activities of this grant, a single institution in the consortium must be the legal applicant, the recipient of the award on behalf of the consortium, and the entity legally responsible for satisfying the grant requirements. Substance Abuse & Mental Health Services Adminis. The Substance Abuse and Mental Health Services Administration, Center for Mental Health Services is accepting applications for fiscal year (FY) 2008 for Campus Suicide Prevention Grants. The purpose of this program is to facilitate a comprehensive approach to preventing suicide in institutions of higher education. This program is designed to assist colleges and universities in their efforts to prevent suicide attempts and completions and to enhance services for students with mental and behavioral health problems, such as depression and substance abuse, which put them at risk for suicide and suicide attempts. The Campus Suicide Prevention Grant program is one of SAMHSA’s infrastructure grant programs. SAMHSA’s Infrastructure Grants support an array of activities to help the grantee build a solid foundation for delivering and sustaining effective mental health prevention and treatment services. SAMHSA recognizes that each applicant will start from a unique point in developing infrastructure and will serve populations/communities with specific needs. Awardees may pursue diverse strategies and methods to achieve their infrastructure development goals. Successful applicants will provide a coherent and detailed conceptual "roadmap" of the process by which they have assessed or intend to assess suicide prevention needs and plan/implement infrastructure development strategies that meet those needs. The plan put forward in the grant application must show the linkages among needs, the proposed infrastructure development strategy, and increased system capacity that will enhance and sustain effective prevention programs and services. The Campus Suicide Prevention Grant program is authorized under the Garrett Lee Smith Memorial Act (Section 520E-2 of the Public Health Service Act, as amended). This announcement addresses Healthy People 2010 focus area18 (Mental Health and Mental Disorders). How do you really mend a broken heart? Is there a quick solution? Instead of going through the whole unbearable heartache and wallowing in loneliness thinking that things could still be patched and turn out the way we want them to be, is there a way to cut the suffering short? I really do not know. It is just so hard. Honestly, I have been into the pain for countless times. In those times, I went home victorious. I couldn't even comprehend how I did it. The sadness just vanished into thin air after a while of sleepless night. Today, the pain is trying to pull me down again. So I ask myself for the nth time, "How do I mend this broken heart?" Should I wait for many nights for the feeling to subside? Will somebody please tell me how? While you think about it, listen/watch the video. In two weeks time, it will be Thanksgiving. It is a traditional (big deal) North American holiday to give thanks at the conclusion of the harvest season. Thanksgiving is celebrated on the fourth Thursday of November (22nd this year) in the United States and on the second Monday of October in Canada. I haven't celebrated last year's Thanksgiving. Where was I? I was working the whole day and night in the office -- hmmm, and nobody even cared to invite me to celebrate the day with them. This year, I will make sure to enjoy Thanksgiving day with a big Turkey on my table, since turkey is the featured item in most Thanksgiving feasts. I've read a statistics somewhere that in 2003, there were 269 million turkeys raised in the United States and about one-sixth of which were for a Thanksgiving dinner plate. My turkey? It will be stuffed with the best stuffing there is. I tried to search for the best turkey recipe online. Since, I haven't prepared one in my entire life yet, I really couldn't tell which one is best. Thus, I relied on the ingredients and decided to just let my eyes be the judge. 1. The Best Turkey Ever - This bird is soaked in brine, stuffed with vegetables and fruit, and basted at least once every half hour. It's a recipe I made up about 4 years ago. It's time consuming, but the result is soooo worth it!!! I usually buy a turkey about 16 pounds and it feeds a hungry group of at least 8, with few left-overs! Not that it needs to be said, but buy a turkey that suits your family's size. For the complete recipe, proceed here. 3. Brown Rice 'n' Apple Stuffed Turkey - Mouth-watering flavors of autumn permeate this lovely stuffing concocted by our Test Kitchen home economists. Apple bits and plump raisins add fruity flavor to the brown rice. 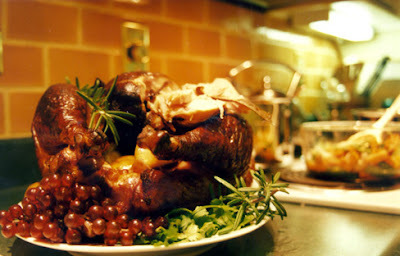 Enjoy your Thanksgiving day with your yummy turkey meal! 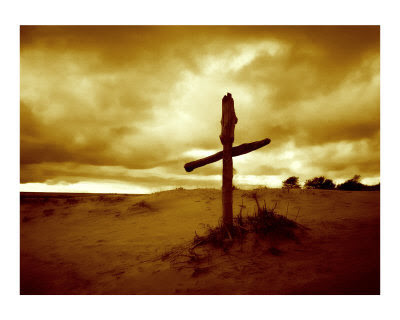 Faith without good deeds: is it enough to get into heaven? November formally lands, boiling over with questions about faith in God. Since I had written a couple of religious stuff in the previous issues of this paper, I rummaged through one of the products of my early glorious moments at writing and thought of publishing a non-sequitur-like entry such as this. Action without faith, is it enough? To do good and not evil; is it a guarantee of getting a place up there in the vast kingdom of God? They say it is easy to be among the millions who are rejoicing in the heavens. They say that a place has already been set for us - a place surrounded by God's infinite goodness. But can the grace be granted to those who are unprepared and undeserving individuals? There is a moral foundation of the universe that in every effect there is always a cause. In every action there is always a counterpart reaction. It equally applies to human beings. I presume in every religion you'll hear that "as ye sow, shall ye reap." We get what we deserve. We see it around. People do charity works and devote their time and service for the less fortunate others. Few make sure to live their lives in an upright and blameless way. What returns are rightly due for those worthy of honor individuals? Read: he who plants melons, reap melons; he who does good, begets good. I am sure that God is happy for these people. On the other hand, I am also sure that He is happier for those who recognize and acknowledge His presence. True, there are those who do generous deeds but are very poor in spirit. Will God open His arms for them in acceptance? No doubt, he will. His mercy is incomparable and beyond measure. A national magazine in my country once ran a very miraculous story of a lady who was sick with sclerosis (a hardening of a body part or tissue), was wearing a full body brace and had to be physically transported to places. Doctors had given up hope on her and she almost died a couple of times already. But alas, she outlived it, survived the doctor's death sentence and bears no trace of having the disease at all. How did she do it? Did she spend all her days healing her body? The lady is a deeply spiritual person. For years she has prayed religiously, despite her own helpless state, not just for her own sake but for others too who needed most of her prayers. Her heart goes out beyond her own needs. Today, she has recovered and enjoyed sharing meaningful services to everybody else. With the miraculous event that happened in her life, she did not forget to thank the one responsible for it. She believes that by doing good and at the same time experiencing God's power; it will create a happiness that no one could ever, ever give and achieve. She was healed because she qualified for it. Not only had she became a true disciple of God but also a true servant to all. The law is so simple and just. No one can easily inherit the kingdom. The good thing is, the deserving had already been reserved. We claim that if the sun shines on both the sinner and the saint, how come most of the time the good suffer while the immoral and the corrupt turn out well and prosper? This is just an illusion. Continuously, life keeps books and records on all of us. If we have our own tally sheets so does life. In there, can be found all our liabilities and holdings. In there, can be revealed all our strengths and weaknesses, triumphs and defeats, failures and accomplishments. After all, we are the sum total of all our actions. When we serve humanity and are of service to Him, then we may be worthy and entitled to God's assistance and rewards, which come in various forms and many folds including a place set in heaven. Finally, to reserve a space up above, we aim for good and not evil. Also note that God wishes to let Himself shine in our midst. Hence, let us ask ourselves what we can do to serve the Supreme Best and His flock. May we not wait to be trapped in a hopeless situation, to be gasping for breath, just to know God's mercy and love. Is it enough not to do evil? Yes, but when we couple it with faith and trust, praise and thanksgiving to the one and only source of all good things to come, God will smile even more. Only then we can draw our rewards when we have saved enough. Or visit the Collegian newspaper link. I know how to prepare the best Powerpoint (PPT) slide presentation having attended a lot of conferences in the Philippines and abroad. But, on a second thought, maybe I don't. I need to learn more. Recently, I saw slides from presenters that won't even pass the most common requirement: readability. I think there was a mistake somewhere when the slides were graded highest and complimented profusely just because of the complex animations and colors. I was seated at the back of the conference room and believe me, the texts were as minute as they could possibly get. 4. For the slide title: left-justify, maximum of 2 lines only, use 32-36 pts. There you have it. Good luck on your preparations for a well-thought PPT slides. Quantitative Remote Sensing is what is inside my mind right now. Since morning today, I had nothing to think but that! I suspect that after this is over, my mind will be pure "green". This NDVI greenness index has been keeping me alive in front of my PC the whole day -- so what will you expect? I should become an instant vegetation expert! Do you know the top 10 great American towns? These are the 10 best places to live in 2007. Are you living in any one of them?